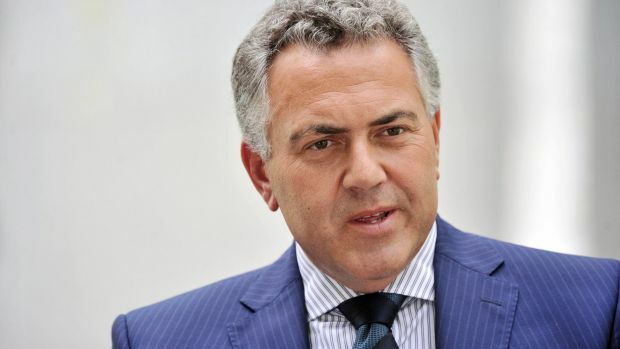 Joe Hockey: Why isn’t he being grilled about unemployment? With the federal budget just two weeks away, you would expect Joe Hockey would be talking about the jobless. It’s curious how little attention unemployment has been getting compared with other federal government challenges like tax policy, debt and deficit. The number of people looking for a job has now been over three quarters of a million for the past nine months – it’s 18 years since Australia had that many people out of work. Last month’s count of the unemployed – 768,600 in trend terms – was 60 per cent more than before the global financial crisis. With numbers like that and the federal budget just two weeks away, you’d expect Joe Hockey would be talking a lot about the jobless. But in five lengthy media doorstops, interviews and Q&A sessions by the Treasurer last week he was not asked one question about unemployment. 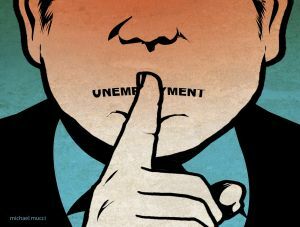 The transcripts for those interviews run to more than 7000 words but the word “unemployment” was only uttered once. While the rate of unemployment has edged down to 6.1 per cent after reaching a 12-year high of 6.4 per cent a few months ago, there are troubling trends in the job numbers. The rate of long-term unemployment – when people have been out of work for a year or more – has been increasing at a faster pace than the total unemployment rate. Data released by the Department of Social Services last week showed the number of long-term job seekers receiving the Newstart allowance surged by 11.2 per cent to 275,725 in the year to March and has touched decade highs over the past few months. The Fairfax-Lateral Economics Index of Australia’s Well-being has underscored the growing economic and social damage caused by long-term joblessness. In the December quarter alone the national wellbeing cost of long-term unemployment joblessness reached $1 billion. “This problem should be showing up on the dashboard much more than it is,” says the index’s creator and leading economist Dr Nicholas Gruen. Another challenge largely ignored in the pre-budget debate is that young people are faring worst of all in the jobs market. The unemployment rate among 15 to 19-year-olds hit 20 per cent earlier this year – a level not seen since the mid-1990s. An index produced by the Brotherhood of St Laurence showing the probability of young people finding a job has fallen markedly in the past year. For teenagers, the job probability index is at levels not seen since the deep recession of the early 1990s. It’s little wonder that the latest Ipsos Mind and Mood report, which has been tracking social attitudes and sentiment in Australia for 35 years, found job security was the biggest worry of those surveyed. The focus group discussions revealed a widespread perception that no one was safe from mass redundancies. It’s a reminder of how much unemployment matters to households. Over the past four decades Australia’s economic policy guardians at the Federal Treasury and the Reserve Bank have traditionally had to deal with short sharp rises in unemployment. The conventional response has been to slash interest rates and allow the budget balance to worsen as dole payments rise and tax revenue falls. These “automatic stabilisers” play an important role in cushioning the economic blow. Analysis released by the International Monetary Fund this month shows the effective use of automatic stabilisers is of great benefit to economies and leads to higher medium-term growth. But this phase of rising unemployment has been different as traditional tools for managing unemployment don’t seem to get the same traction. The jobless rate has slowly racheted higher as the economy lumbers at a below trend rate of growth in the aftermath of the mining boom. The Reserve Bank has cut interest rates eight times since 2011 to historic lows and yet the unemployment rate has continued to creep up. The bank’s governor, Glenn Stevens, has warned that the power of interest rates to “summon up additional growth in demand could, at these levels of interest rates, be less than it was in the past”. Despite all the Abbott government’s tough talk on the need to deal with debt and deficit, its policy response to the upward trend in unemployment has also been quite conventional. Last year’s federal budget scheduled the toughest fiscal repairs to take place years into the future when, hopefully, the economy is stronger. What if this conventional policy response doesn’t work and the dole queues grow longer? That would leave Hockey with two options unlikely to be very popular with his Coalition colleagues. He could spend more on things like infrastructure projects in a bid to boost employment – although that would push the budget deeper into deficit. The other alternative is structural reforms to make the labour market more flexible, something sure to anger a lot of voters. The Treasurer must be relieved he’s not being quizzed more about unemployment.